Massachusetts Institute of Technology and Versitech Limited patent, licensed exclusively by Arch, is maintained without amendment as prior lower court decision is affirmed. FRAMINGHAM, Mass., Dec. 04, 2018 (GLOBE NEWSWIRE) -- Arch Therapeutics, Inc. (OTCQB: ARTH) ("Arch" or the "Company"), developer of novel liquid, gel and solid hemostatic and wound care devices, is pleased to announce that the Japanese Intellectual Property High Court has favorably ruled to affirm the prior trial decision and maintain without any amendments Japanese patent number 5204646 (‘646). This patent is part of the intellectual property estate that Arch has licensed globally and exclusively from the Massachusetts Institute of Technology and Versitech Limited (“MIT”). The ‘646 patent was challenged in a Japanese court by an opponent. Previously, a Japanese Court issued a decision in our favor to maintain the patent in its entirety. The opponent appealed the decision. On October 30, 2018, the Japanese Intellectual Property High Court affirmed the lower court decision to maintain the patent in its entirety. The opponent has one remaining right to appeal this decision. As previously announced, Arch filed a 510(k) premarket notification for AC5™ Topical Gel in the United States in the third calendar quarter of 2018. The submission is under review. Further, Arch filed a CE mark for AC5™ Topical Hemostat during the fourth calendar quarter of 2018. 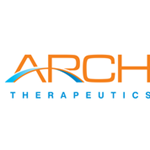 Arch Therapeutics, Inc. is a biotechnology company developing a novel approach to stop bleeding (hemostasis), control leaking (sealant) and manage wounds during surgery, trauma and interventional care. Arch is developing products based on an innovative self-assembling barrier technology platform with the goal of making care faster and safer for patients. Arch's development stage product candidates include AC5™ Topical Gel1, AC5™ Topical Hemostat1 and AC5™ Surgical Hemostat1. This news release contains "forward-looking statements" as that term is defined in Section 27A of the Securities Act of 1933, as amended, and Section 21E of the Securities Exchange Act of 1934, as amended. Statements in this press release that are not purely historical are forward-looking statements and include any statements regarding beliefs, plans, expectations or intentions regarding the future. Such forward-looking statements include, among other things, references to novel technologies and methods, our business and product development plans and projections, or market information. Actual results could differ from those projected in any forward-looking statements due to numerous factors. Such factors include, among others, the inherent uncertainties associated with developing new products or technologies and operating as a development stage company, our ability to retain important members of our management team and attract other qualified personnel, our ability to raise the additional funding we will need to continue to pursue our business and product development plans, our ability to obtain required regulatory approvals, our ability to produce commercial quantities of our products within projected timeframes, our ability develop and commercialize products based on our technology platform, and market conditions. These forward-looking statements are made as of the date of this news release, and we assume no obligation to update the forward-looking statements, or to update the reasons why actual results could differ from those projected in the forward-looking statements. Although we believe that any beliefs, plans, expectations and intentions contained in this press release are reasonable, there can be no assurance that any such beliefs, plans, expectations or intentions will prove to be accurate. Investors should consult all of the information set forth herein and should also refer to the risk factors disclosure outlined in the reports and other documents we file with the SEC, available at www.sec.gov. 1. AC5 is currently an investigational device and is limited by federal law to investigational use.